With heating and cooling bills constantly on the rise, as well as the need to go green and preserve resources, more Houston residents are looking toward alternative methods. Deregulation of energy costs in Texas has consumers worried that energy costs will soar even higher. One money-saving alternative is to become more energy efficient, often with the use of Energy Star-qualified products, services and green homes. The HVAC (heating, ventilation and cooling) system is the most effective means of doing this to create a green home. A resounding yes! First, an Energy Star or energy-efficient green home can have the same building costs as one that is not energy efficient. On the occasion that an energy-efficient green home costs more to build, it is still worth the extra cost. Why? The savings Energy Star will garner on heating and cooling alone will likely more than repay the extra cost in the purchase price. Also, according to EnergyStar.gov, when you go for a green home and utilize energy efficient methods, you could qualify for tax credits. That amounts to even more savings. In essence, opting for a green home with Energy Star will more than pay for itself. Should I Build a Green Home or Remodel My Houston Home? If you have the means to do so, build or purchase a new green home. You will save energy, money and experience other benefits when going energy efficient and acquiring a green home. Check with EnergyStar.gov to find out which builders and green homes are Energy Star qualified. An existing home still can become an energy-efficient green home, but it cannot receive Energy Star status. It can, however, achieve what is called Home Performance with Energy Star, which still is a huge improvement over the standard building code. 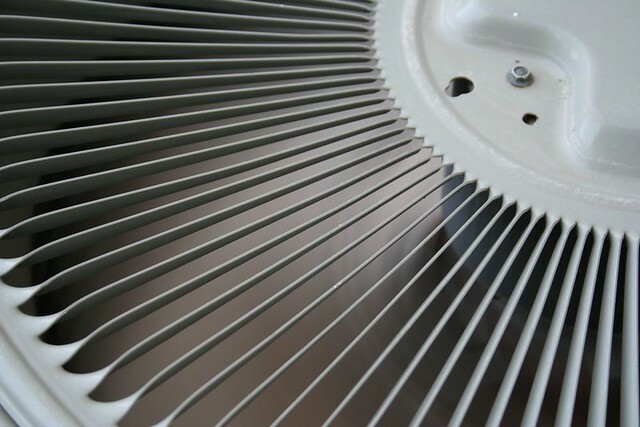 Some HVAC services, installs and upgrades will help you go green and become more energy efficient. These installs, services and upgrades will go a long way in helping your home become more of an energy-efficient green home. A home built with the Energy Star qualification is the most energy-efficient green home, compared to one that is remodeled around energy efficiency. Energy Star Qualified HVAC Unit - Installing an Energy Star qualified HVAC unit, in conjunction with cutting down on usage, using energy-efficient insulation and applying other energy-efficient methods is the best way to save energy in your green home. Energy Star Qualified Clean Air System - A clean air system that is Energy Star qualified can go a long way in not only saving energy but also in improving the air quality of your green home. This can be a huge benefit to asthma and allergy sufferers. Even those without those conditions often notice the difference in a green home's air quality when switching to an Energy Star qualified clean air system. Energy-Efficient Insulation - Energy-efficient insulation can help reduce energy costs by reducing drafts. There are many insulation materials that can help lower energy costs. However, the most effective is radiant barrier insulation, also known as reflective foil insulation, due to its silver color. Whether you wish to go green to lighten your budget or your environmental impact, eco-friendly plumbing practices can help. Plumbing is an area of the home that can always be redone. Older plumbing also can use up a considerable amount of water. As the former wife of a plumber, I have learned a great deal about conserving water and green plumbing. Here are some of the many ways to go green with plumbing. Replacing faucets and other plumbing fixtures with low flow or eco-friendly ones will significantly reduce water usage. Shower heads, faucet aerators, and toilets are some examples. This green plumbing practice is good for the earth as well as saving money on the water bill. Some eco-friendly plumbing fixtures can be found at a local home improvement or plumbing supply store. Others may need to be ordered. Is your water heater energy-star certified? What about the dishwasher and washing machine? These plumbing appliances use up a great deal of water. By using these greener versions, you are helping preserve more water and are once again saving on that water bill. Did you know that you can buy a solar powered water heater. What about that pool pump or bird bath fountain? These are just some examples of solar-powered plumbing appliances and outdoor plumbing. These help conserve energy, which is easier on the environment. When you finish installing certain plumbing appliances, pipes, and fixtures, you may have some scrap material. This could be pieces of copper piping, broken appliances, old fixtures, and more. There are lots of metal and appliance recycle centers that would be happy to take those off your hands. Most will even pay you for it. Recycling your old plumbing materials, versus just hauling them to the dump is a much more green plumbing practice.